1. 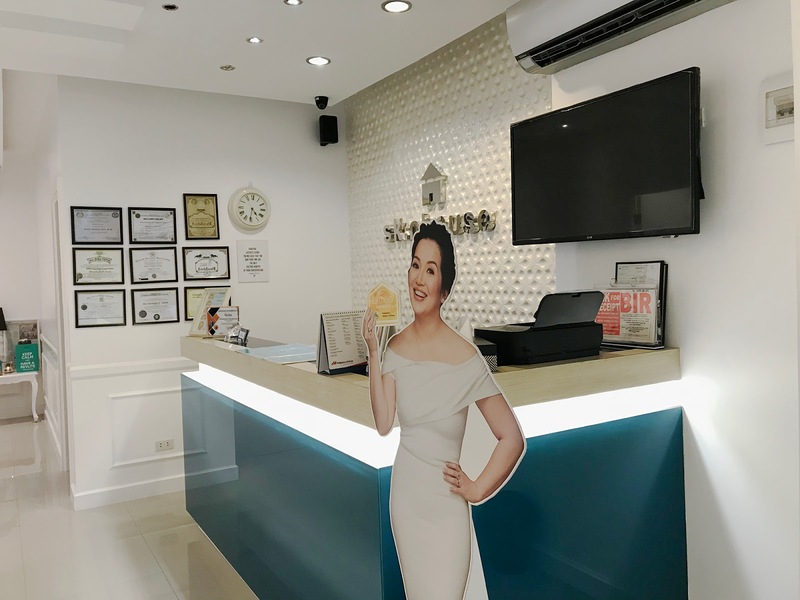 A clean and spacious clinic. 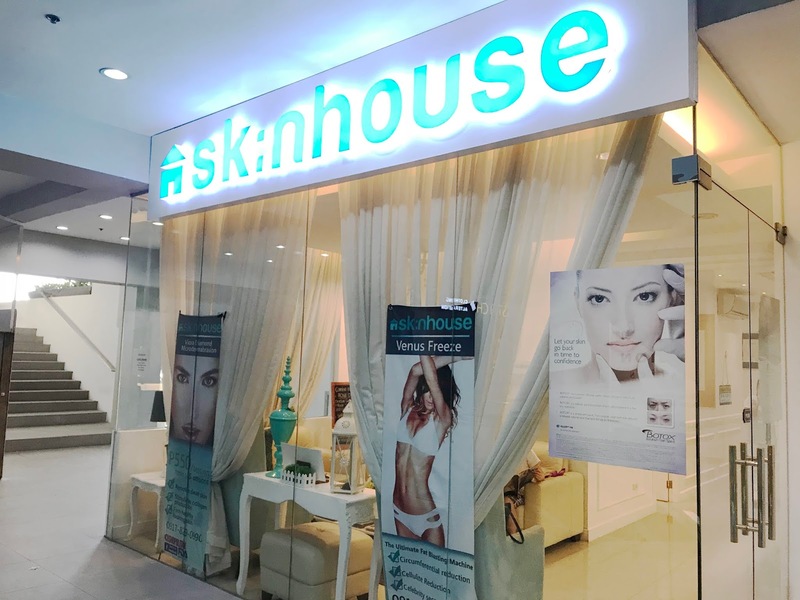 Skin House Laser has two branches - one in Quezon City and one in Pioneer, Mandaluyong. I went to the Pioneer branch, which is their second branch. 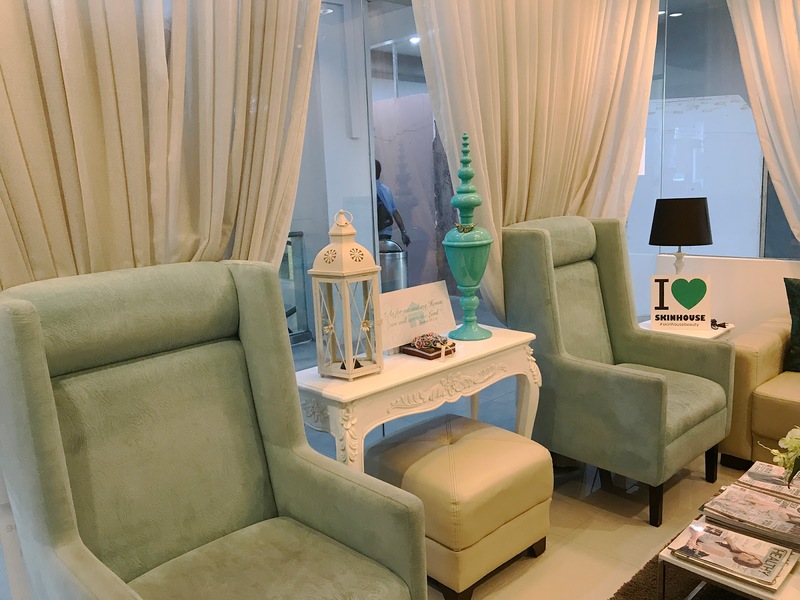 Upon arrival, I was already quite impressed to see a well-lit clinic; it was very clean and spacious. I'm used to the ones in malls which are usually smaller or cramped, so this was a nice welcome. 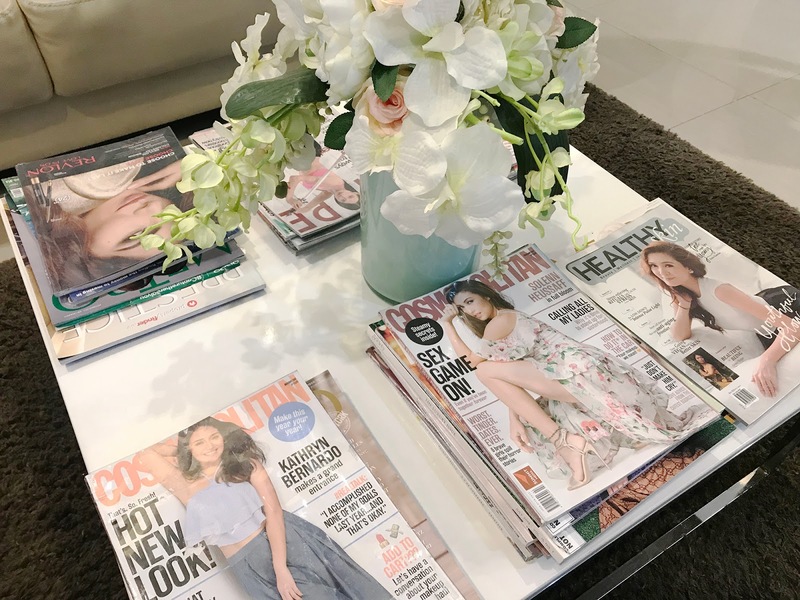 The waiting area has ample seating space where you can read magazines while having coffee, tea, or water. And once they are ready to attend to you, you will be directed to your room. Everything is ready and prepped, and all you have to do is lie back and relax. 2. Knowledgeable staff and specialists. It has actually been over a year since I last got a facial treatment, which isn't good! So I had a lot of questions coming back into it, and the specialist attending to me was able to answer all my questions. 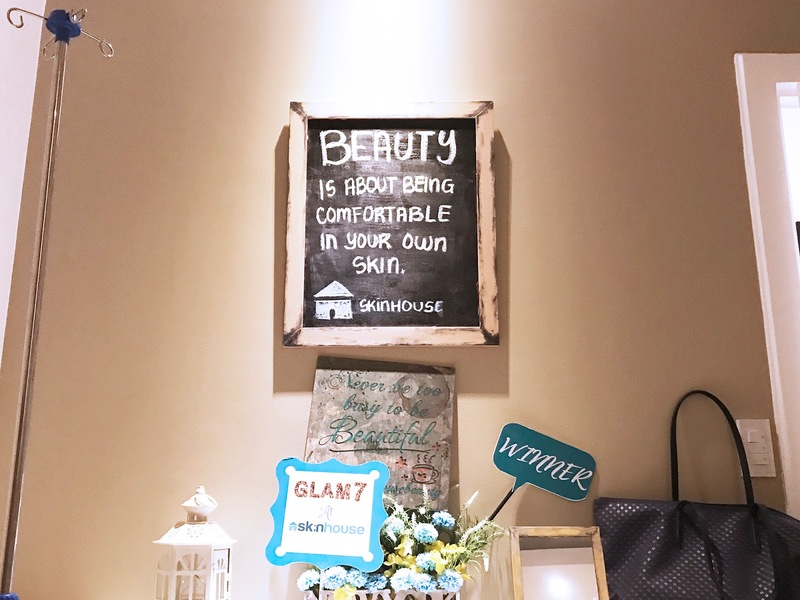 Skin House Clinic has been in the industry for 7 years and positions itself as an advanced medical aesthetics center that offers a wide array of non-invasive cosmetic procedures. 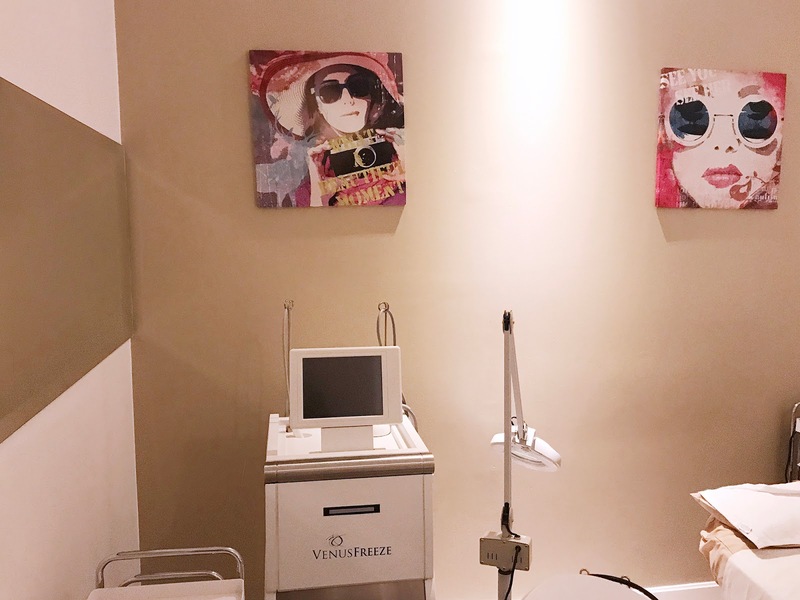 The treatments are designed to improve the appearance of the face and body for a more youthful glow. 3. Smooth and pain-free experience. 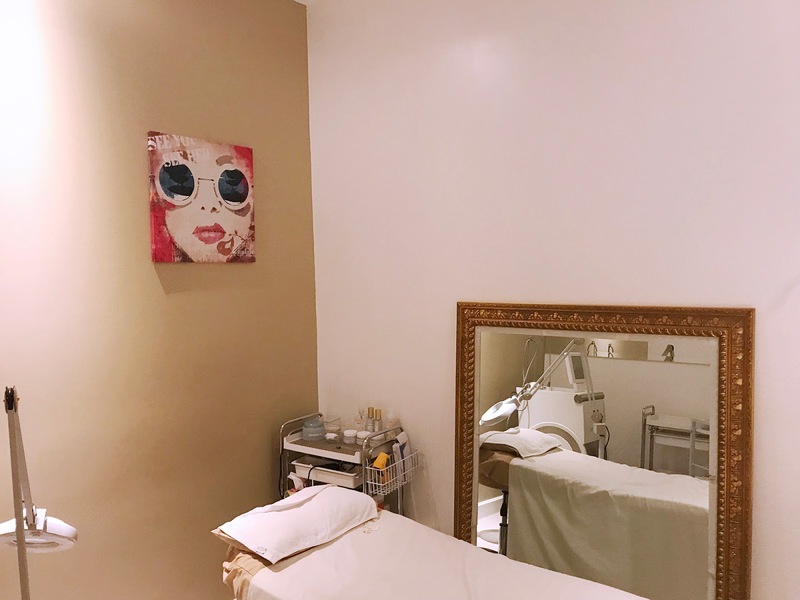 You know what I don't like with getting facial treatments? Pricking. So I was already expecting the worst, knowing that I have not had it done for a long time. 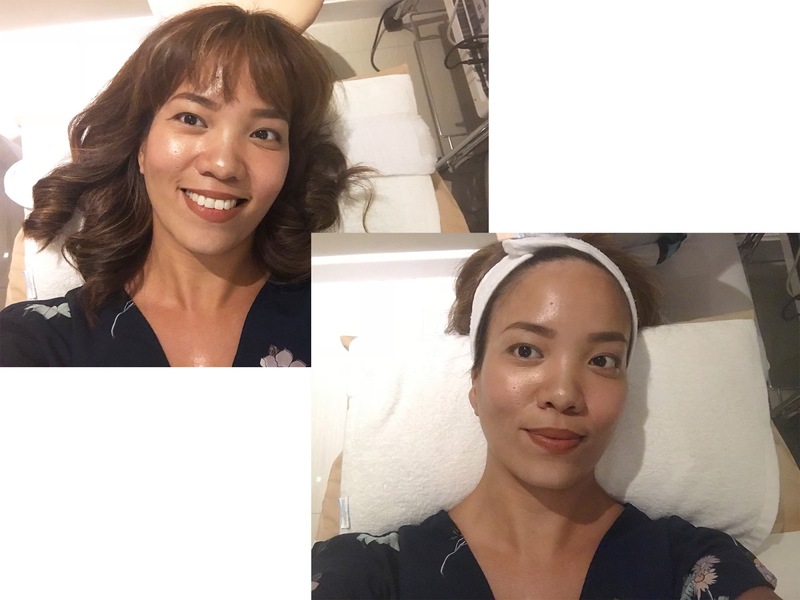 I was surprised that I barely felt a thing with their 24K Gold Facial Treatment and Diamond Peel! 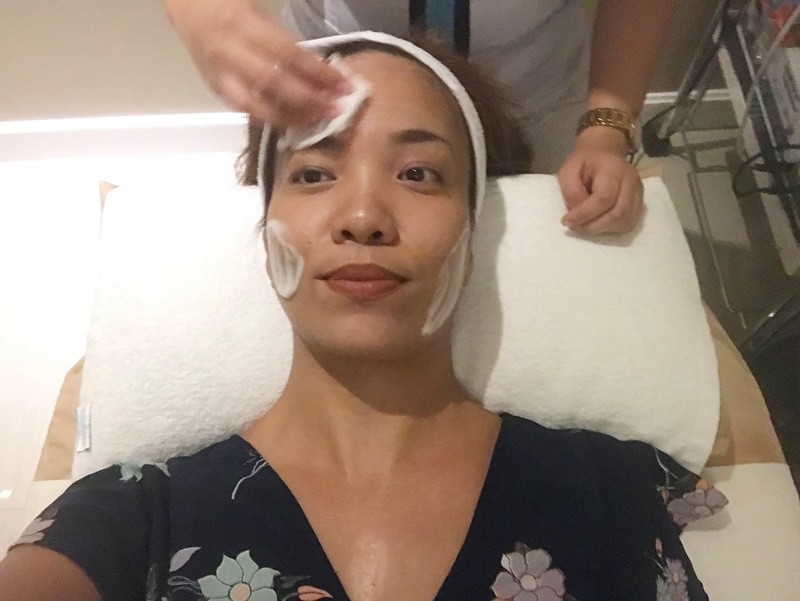 We start off by cleansing my face -- getting rid of all the makeup and dirt and prepping it for the treatment. Then, the steam. 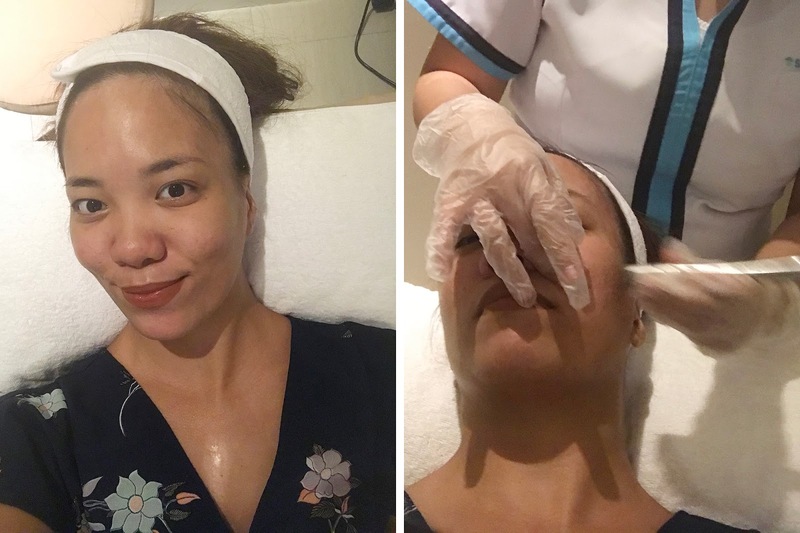 This helps open up your pores so that comedones (white heads, black heads, etc) can be extracted easier. 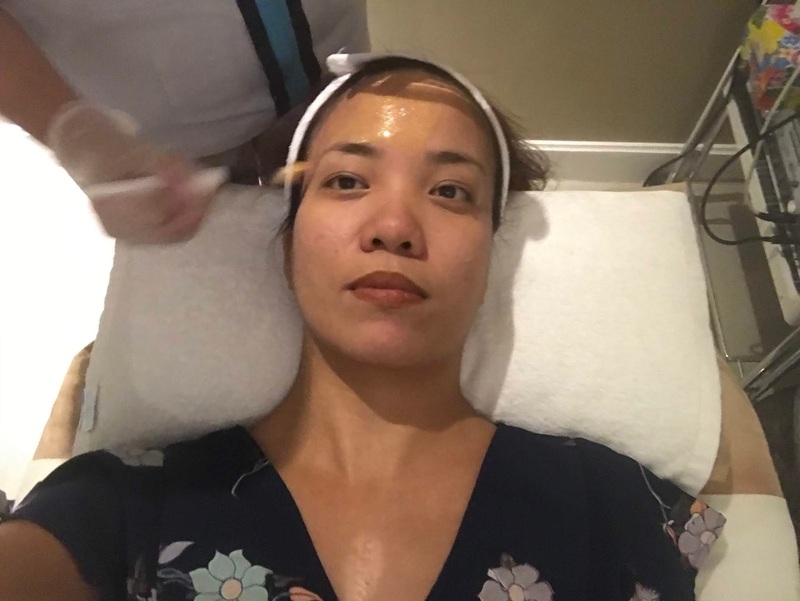 A quick face massage, and then we begin the extraction process. Like I said, it wasn't painful at all! Every now and then, the specialist checks in on how you're doing, or if you're experiencing any pain. 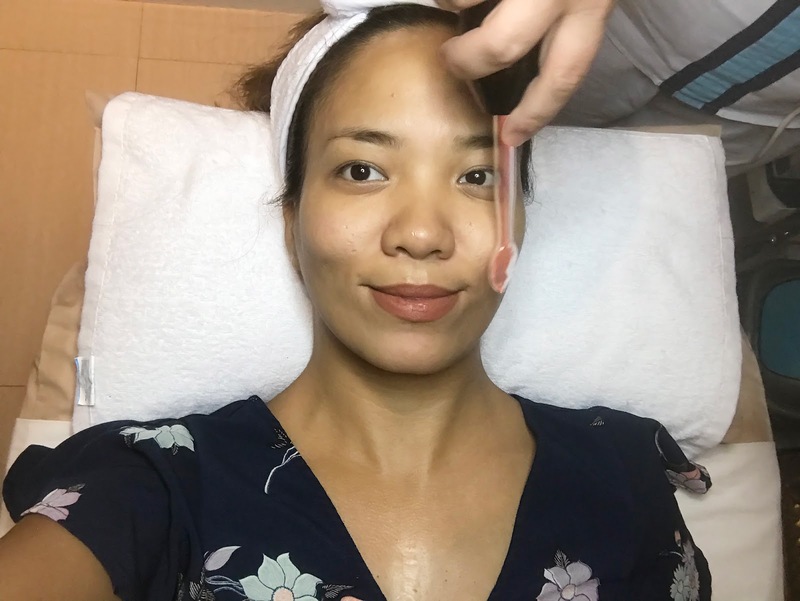 The key to this pain-free experience is the tool that they use, which is thicker than the ones we usually get in other facial clinics. At this point, I could already feel my face lighter and cleaner. After that, I was covered in the signature gold mask. Girl, I was ~shining, shining, shining!~ and I loved it. It slowly hardens and then is ready to be peeled/wiped off.